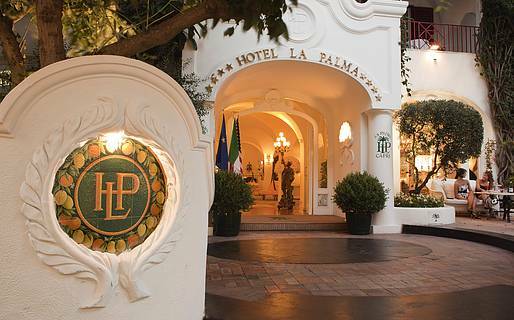 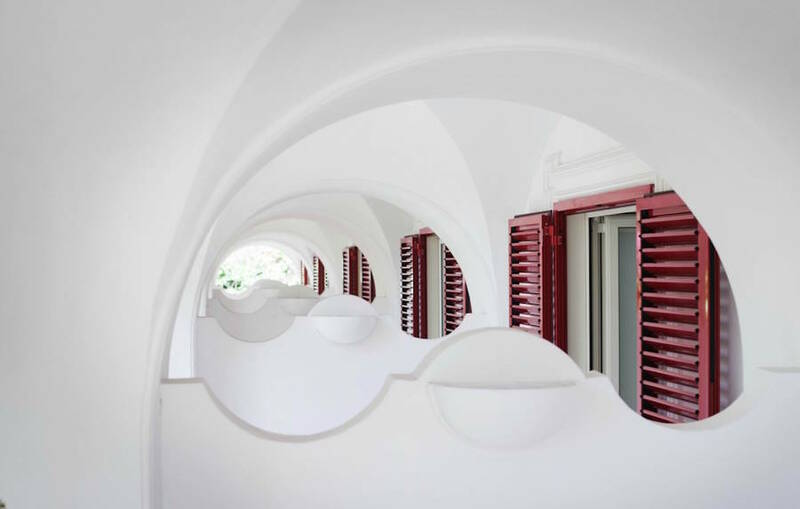 If there is one hotel on the Capri that embodies the history of this island, it is La Palma. 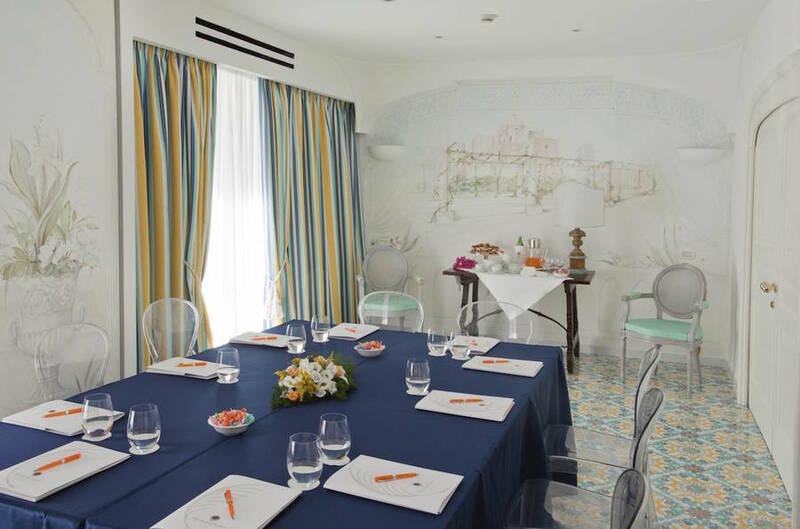 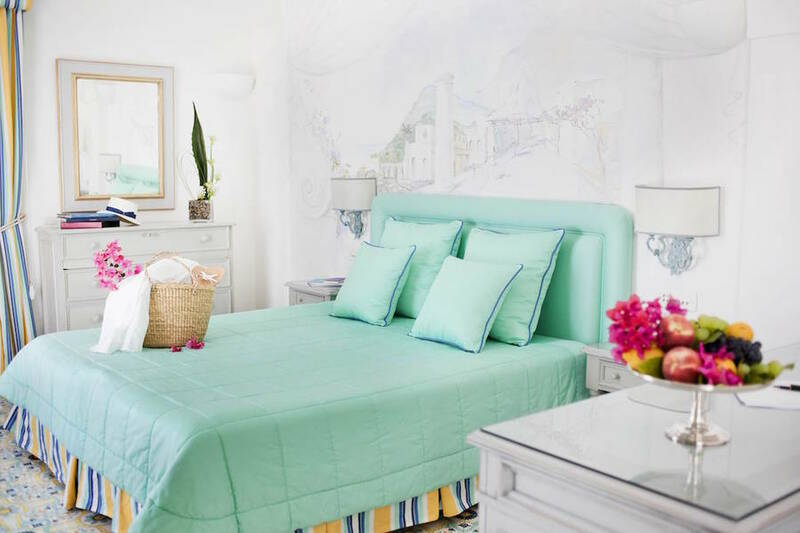 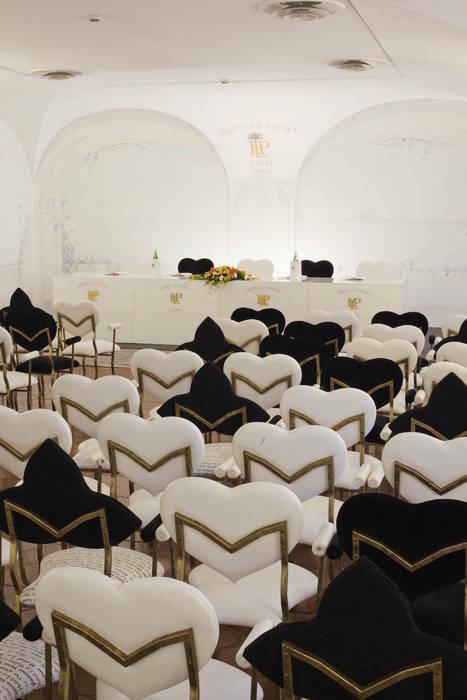 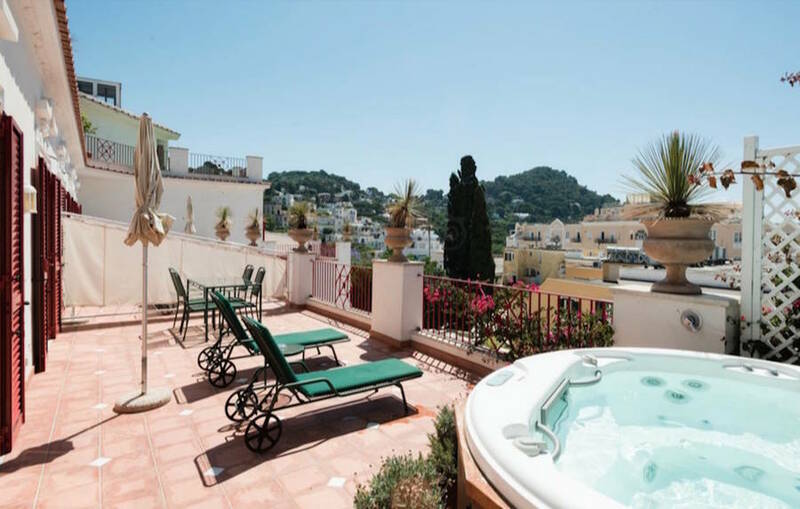 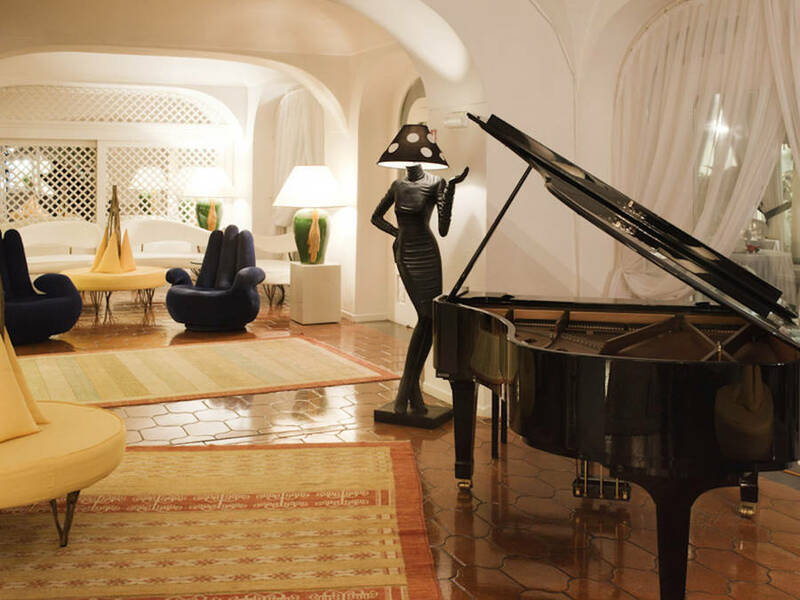 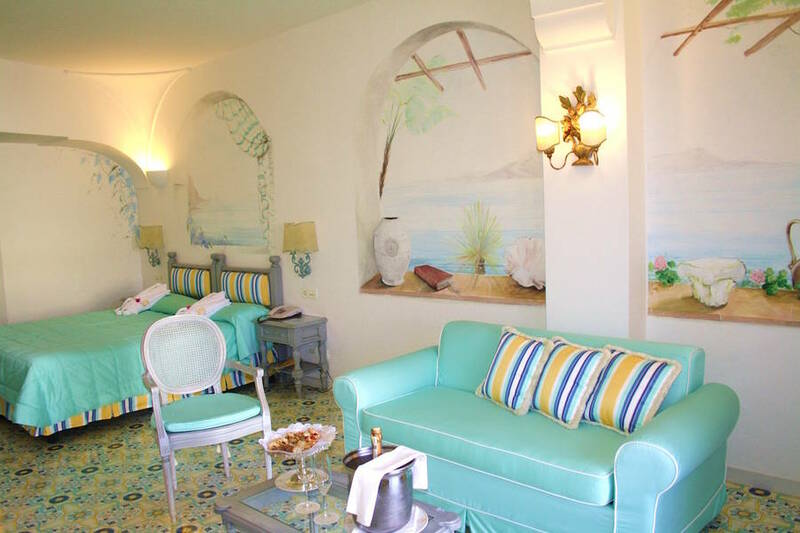 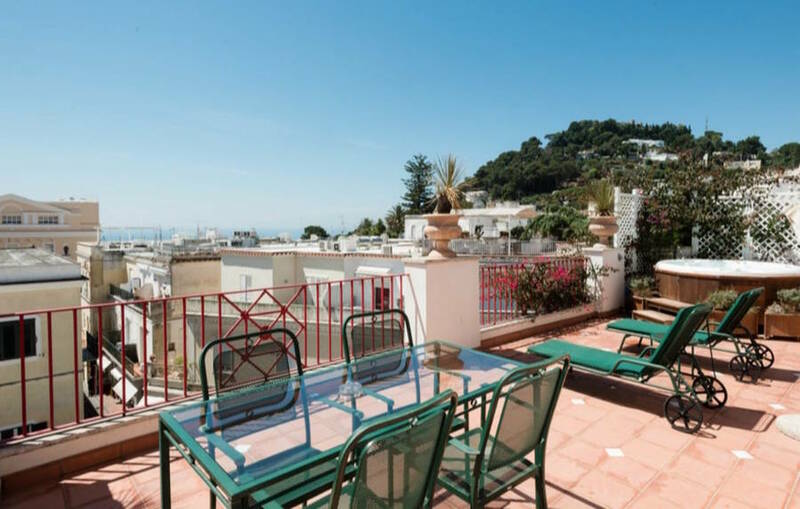 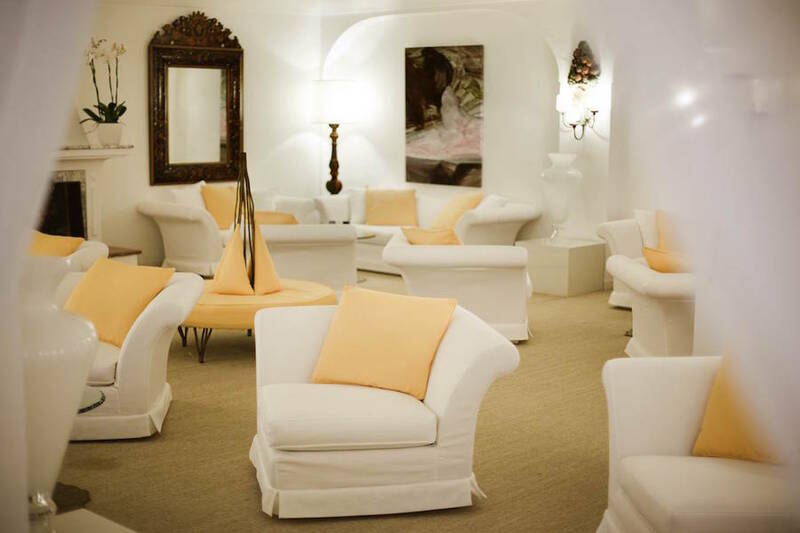 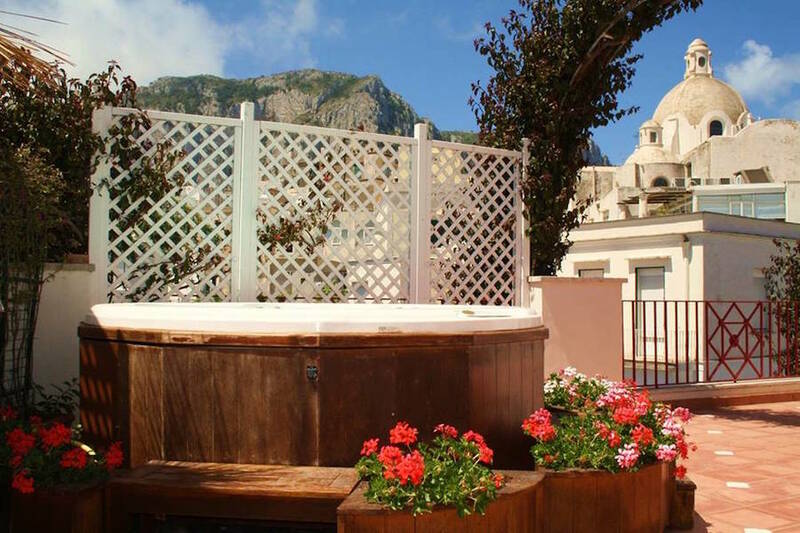 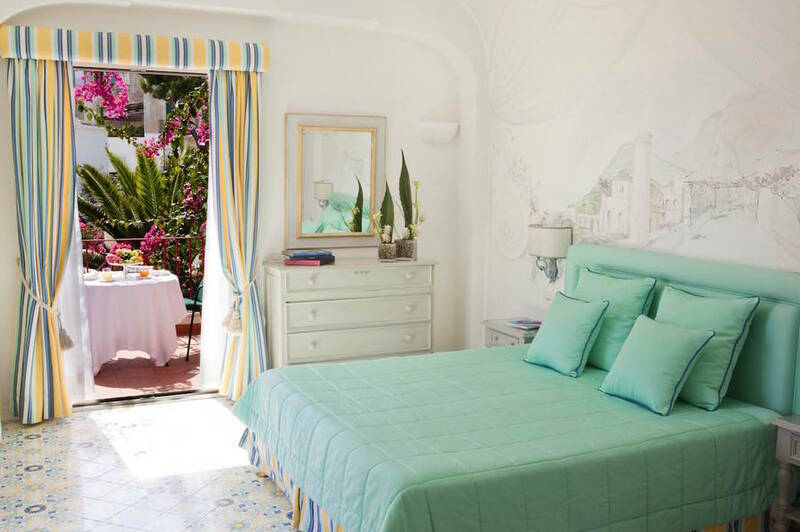 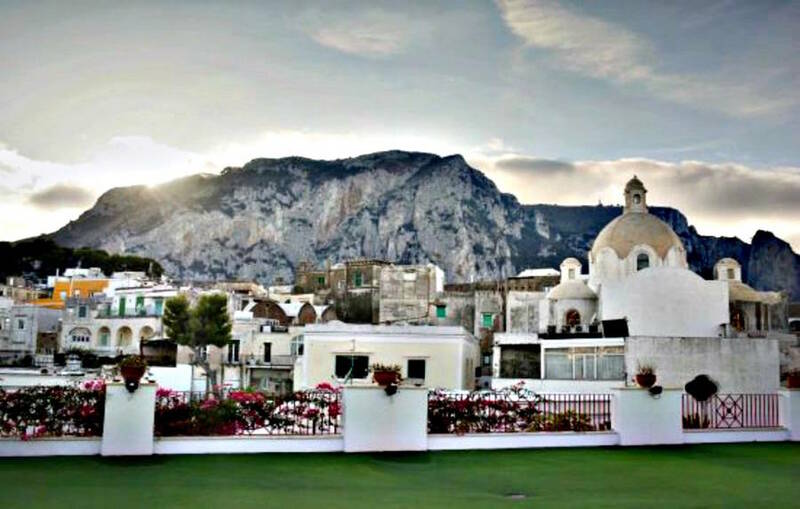 Located in the center of Capri just steps from the bustling Piazzetta, this landmark hotel has welcomed artists, writers, and intellectuals during its long history, and still today combines timeless elegance and informal glamour with ease, making it one of the most beloved hotels on Capri. 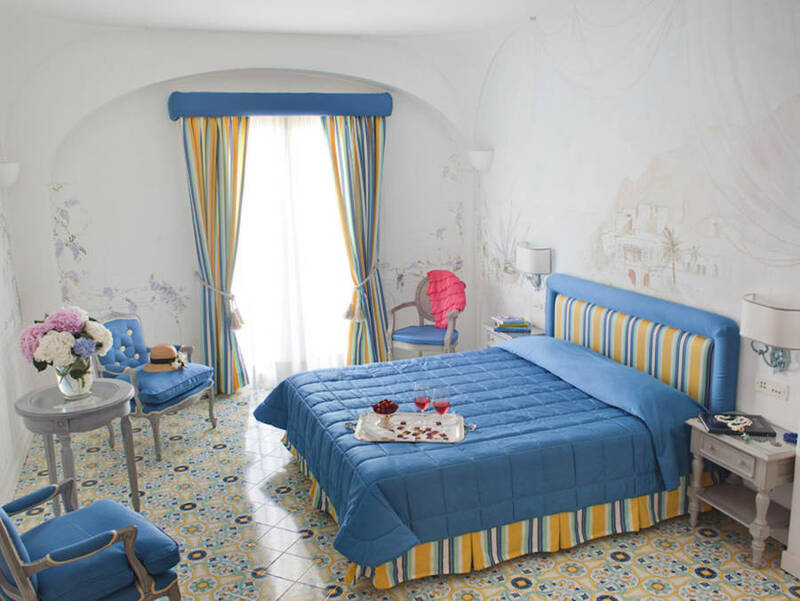 The guest rooms at hotel La Palma offer an elegance of times past, with frescoed ceilings, handpainted Vietri ceramic floors, and trompe l’oeil decorated walls. 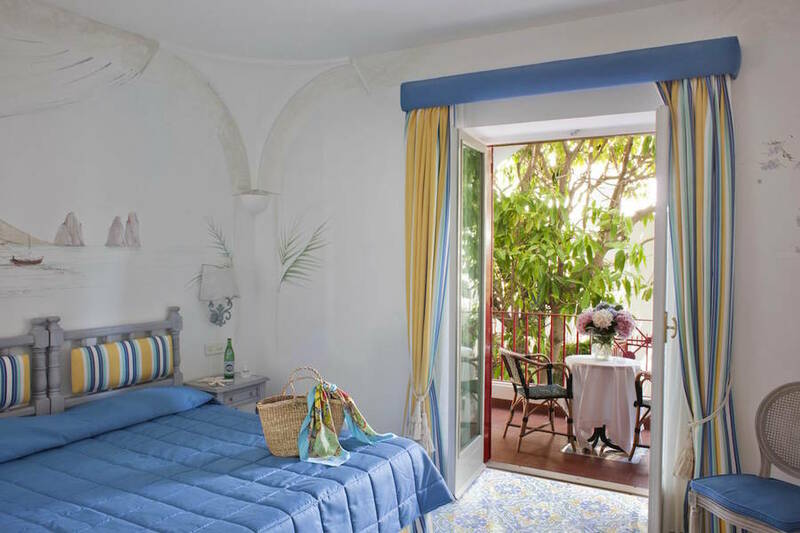 Each room has unique and distinctive style, and together make up the glamorous whole of La Palma. 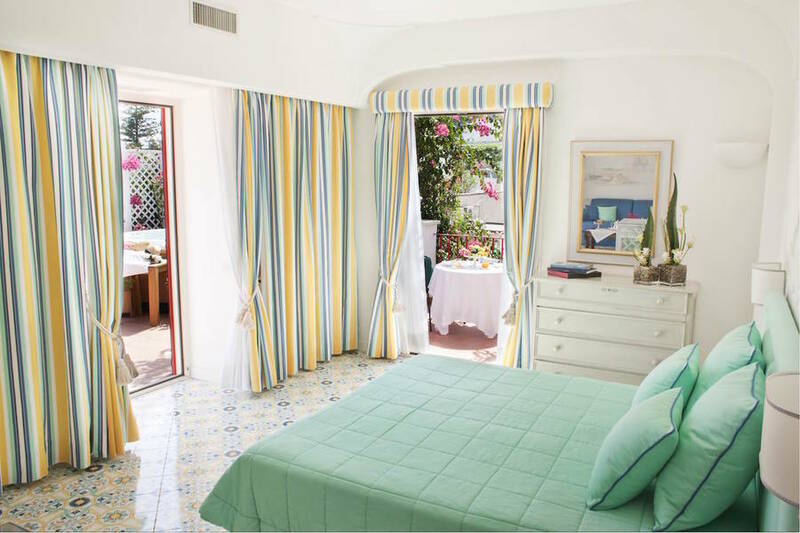 Just take a look out from your terrace (almost all the guest rooms have one!) 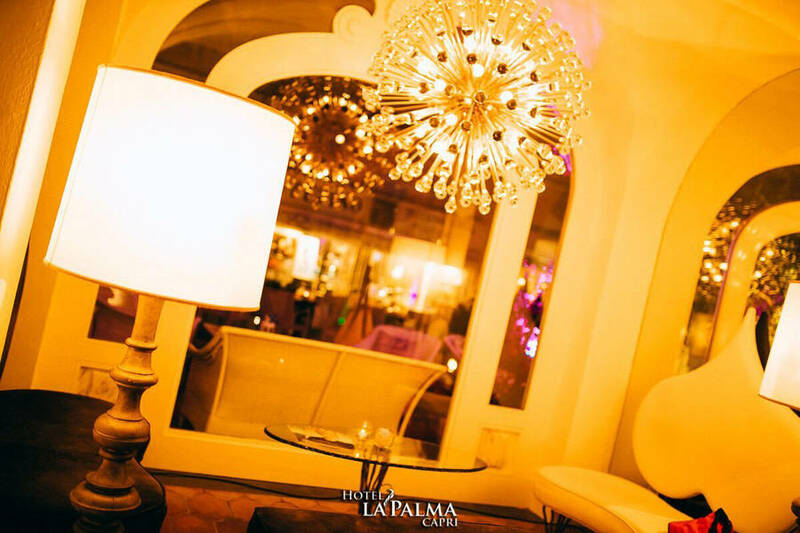 and you will immediately feel right in the middle of the most vibrant spot on the island, surrounded by luxury boutiques and VIP people-watching. 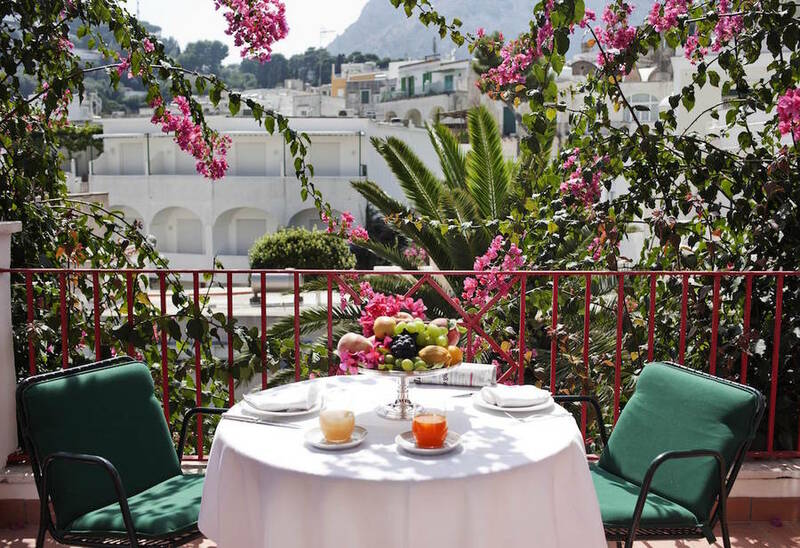 La Palma has perhaps the most famous terrace restaurant in Capri. 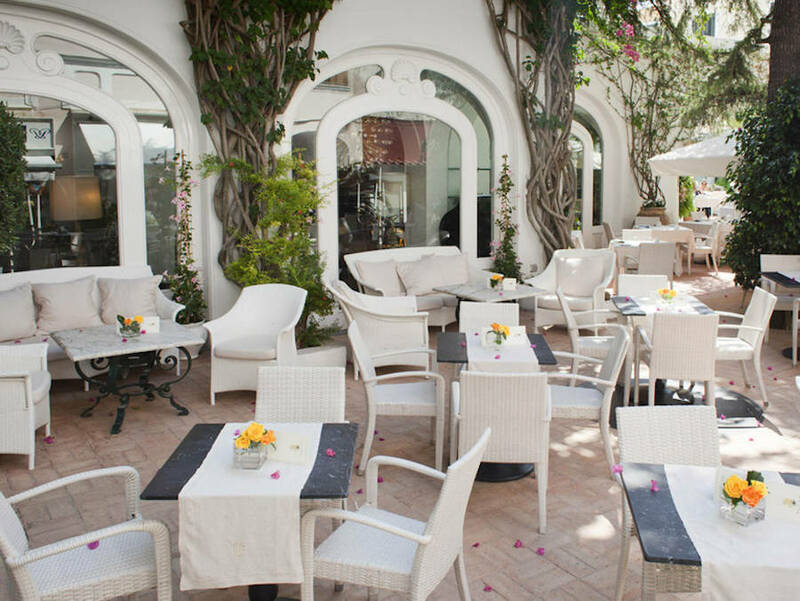 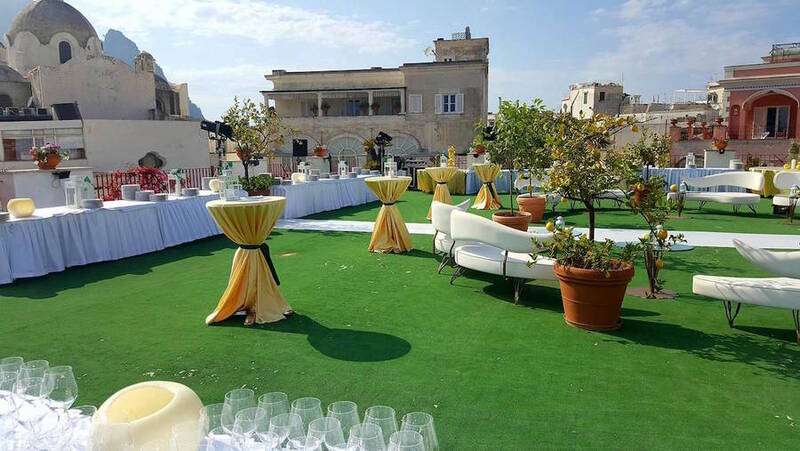 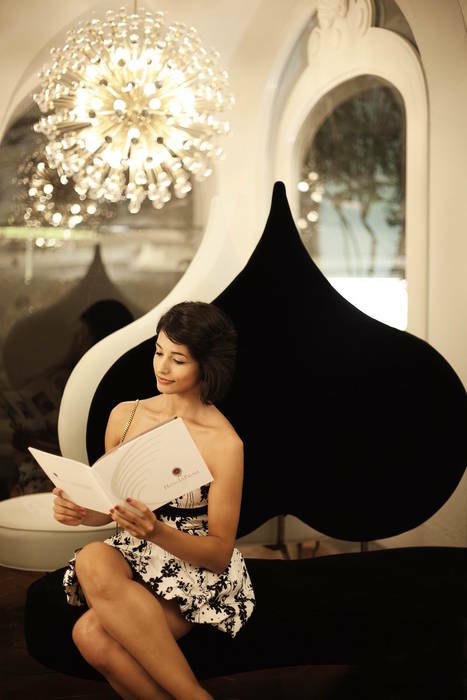 You can sample delicious Mediterranean cuisine seated at the refined tables, and watch the world's celebrities pass by. 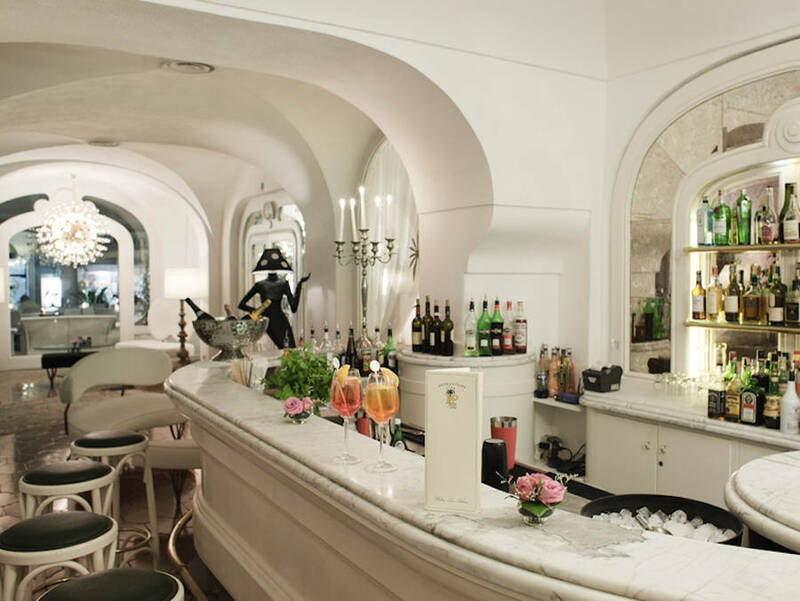 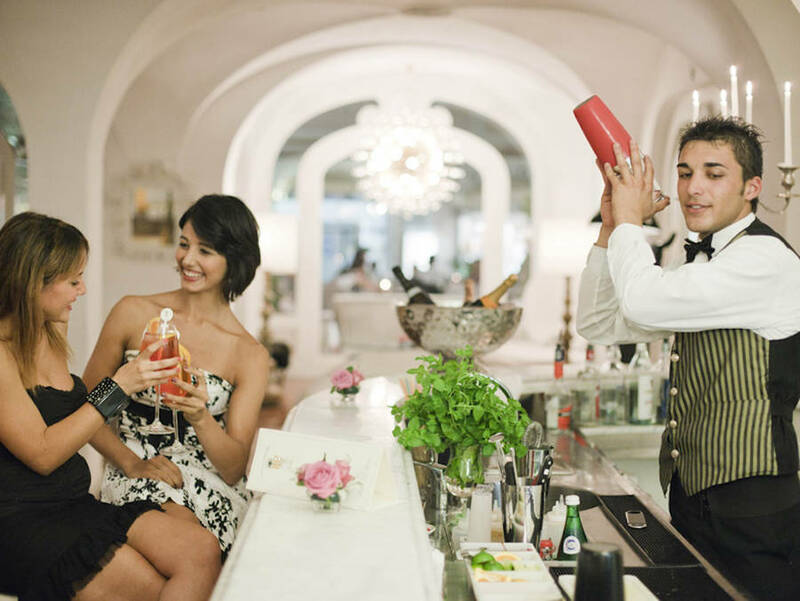 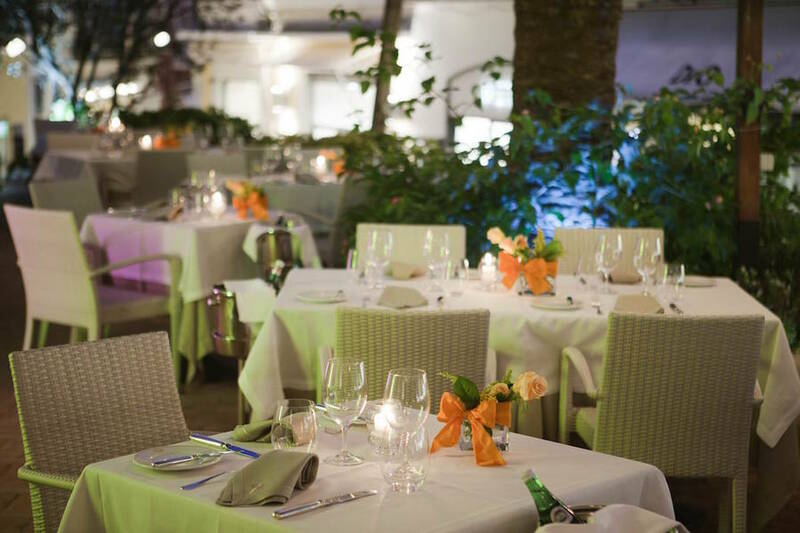 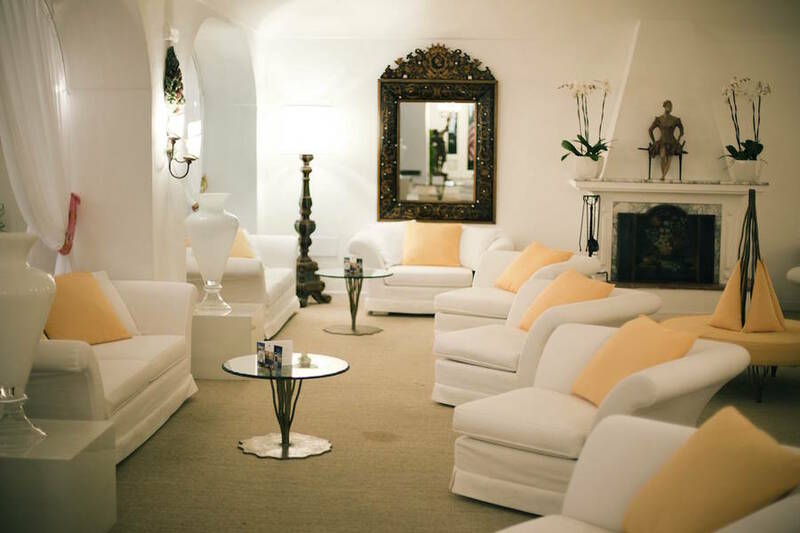 In the summer months, candlelight and live music make it one of the most fashionable spots on Capri for a romantic dinner or an evening with friends at the bar. 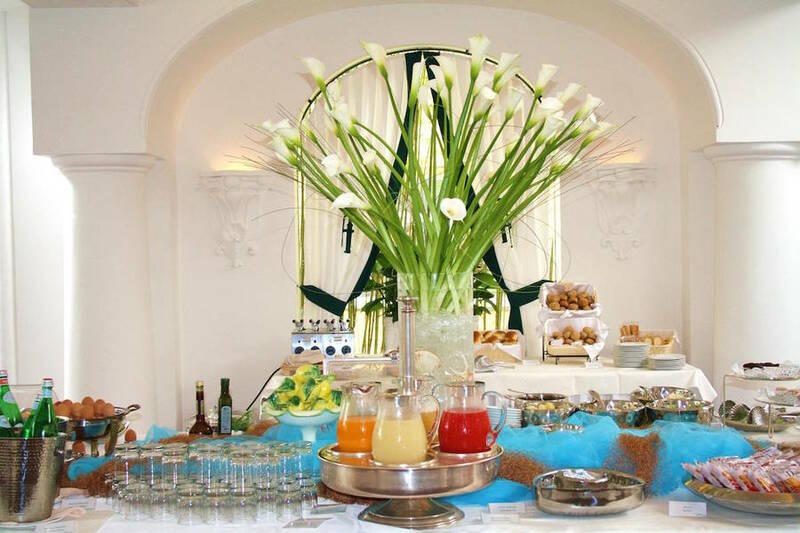 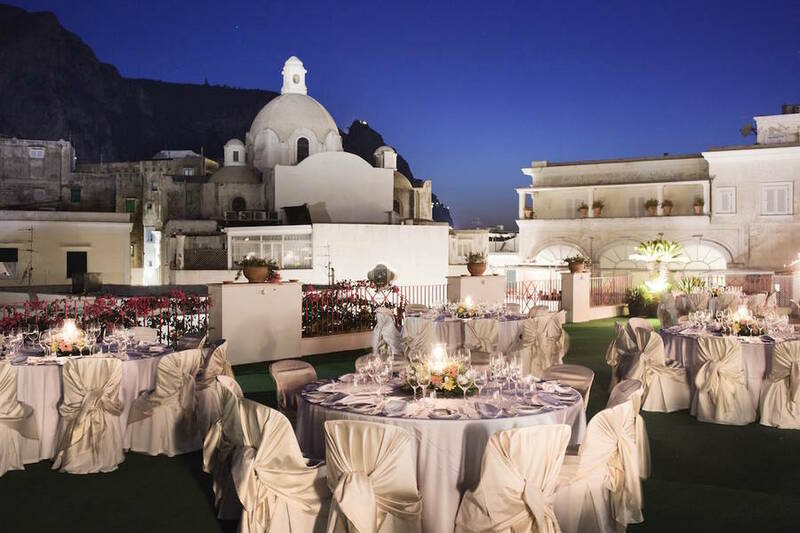 If you are considering a destination wedding in Capri, choose La Palma for an unforgettable reception venue. 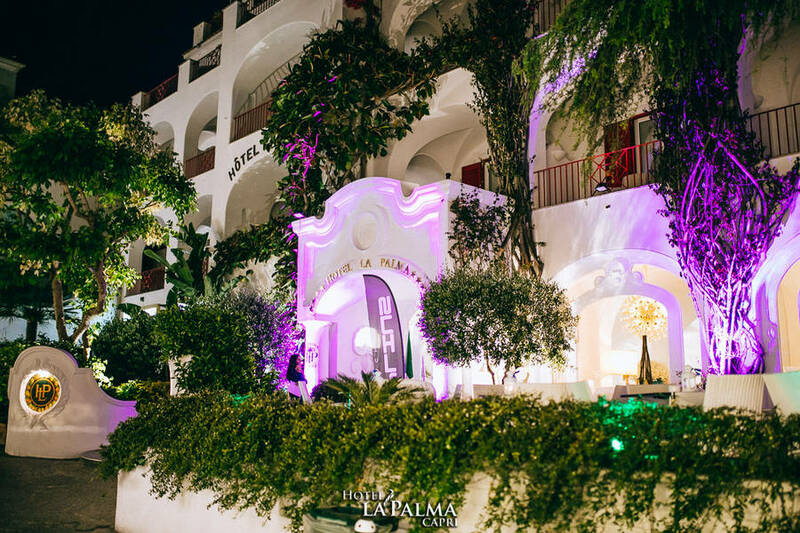 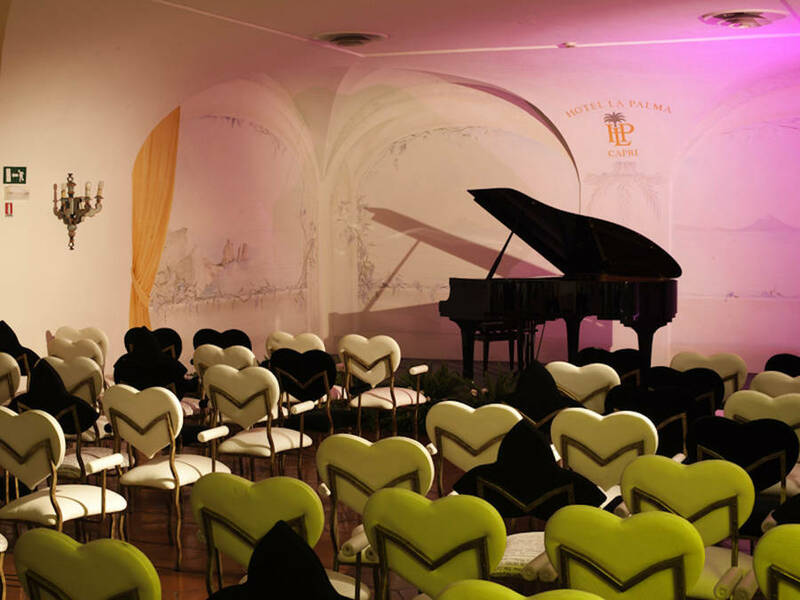 The impeccable service and unsurpassable skill of our professional staff are available for your special celebration, meeting, conference, or business event, or for cocktail parties, fashion shows, and concerts...all in the stunning location of Hotel La Palma!